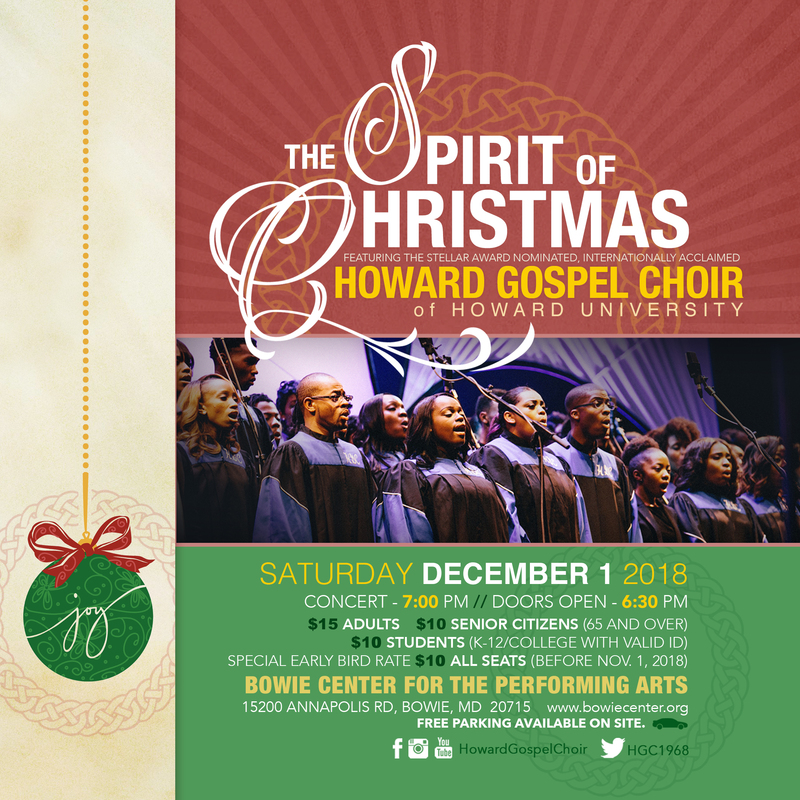 The Howard Gospel Choir "The Spirit of Christmas"
Educator Special: Show your valid work I.D. for your School / School System and your adult ticket is $10!! PGCPS students bring your 1st qtr. report card and if you have a 3.0 or higher your ticket is $5!!! Thursday, 11/29/18: 10:00 a.m. - 3:00 p.m.
Saturday 12/1/18: 9:00 a.m. - 12:00 p.m.
Saturday, 12/1/18: 6:00 p.m. - 8:00 p.m.